Today’s post is from SBP contributor Avicenna. Here’s his bio and his prior posts. An estimated 2 to 3% of the developed world – roughly 1 million Canadians and 10 million Americans – suffer from a debilitating form of chronic pain, called neuropathic pain (NP) or neuralgia. (1,2) What’s worse is that these numbers are expected to rise because of an aging population and the subsequent increase in diabetes and shingles, two common diseases associated with NP. 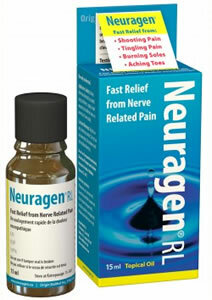 (3,4) More simply called nerve pain, NP is quite a challenging medical condition to treat since current treatment options provide only modest relief, and usually with problematic side effects.